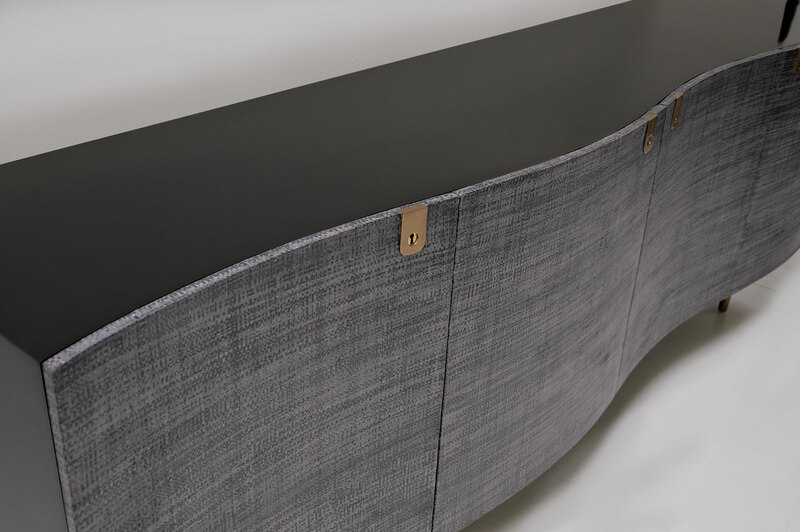 The oscillate sideboard is finished in a hand polished black lacquer encasement. 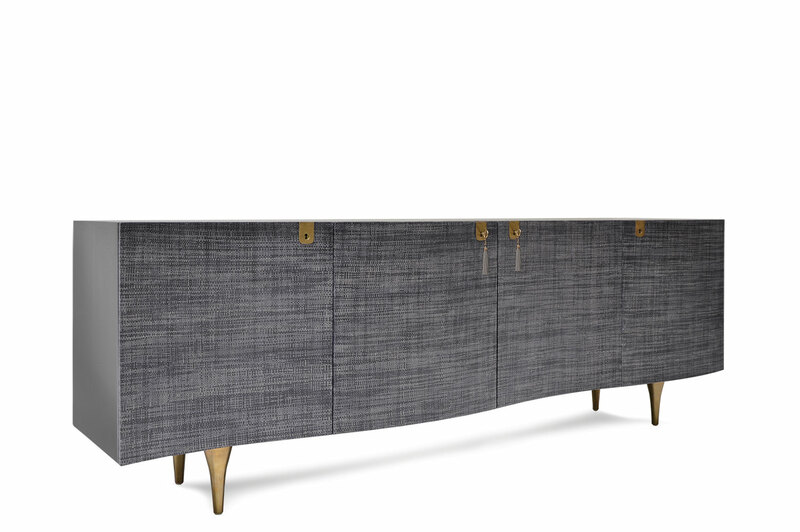 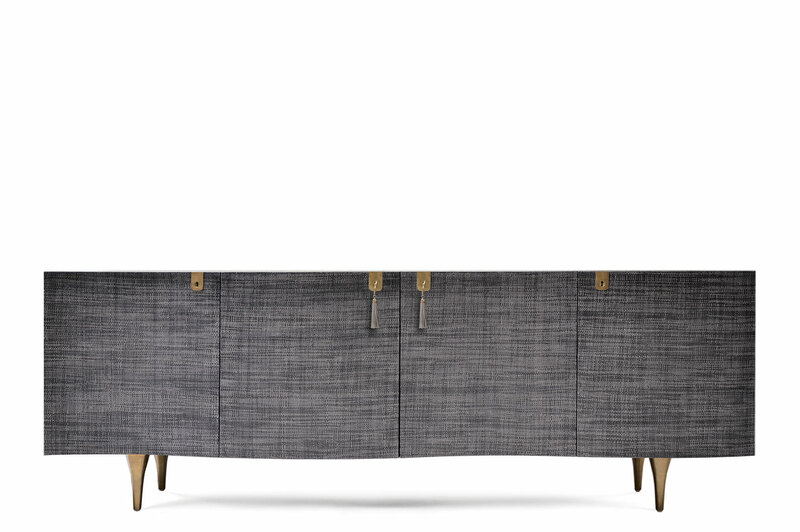 The curved door fronts are mantled in a charcoal color raffia fabric which are accompanied by solid brass keys and signature tassels. 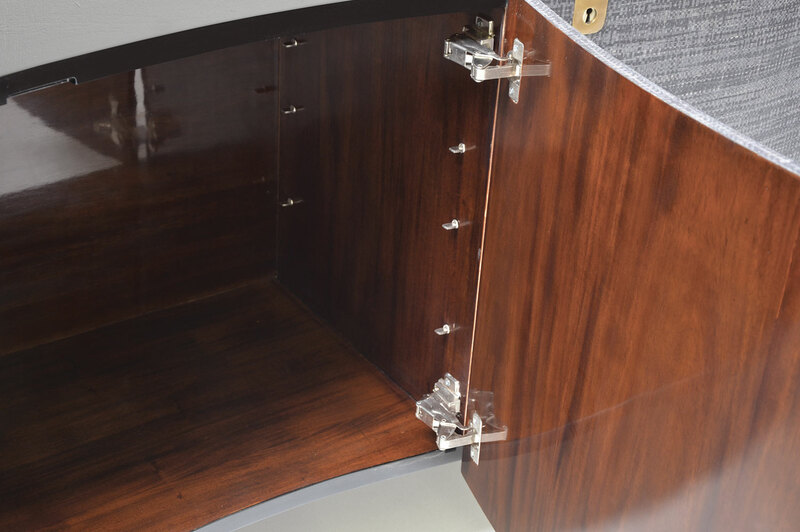 The interior is finished with a soft-gloss coating and contains one center-glass shelf.